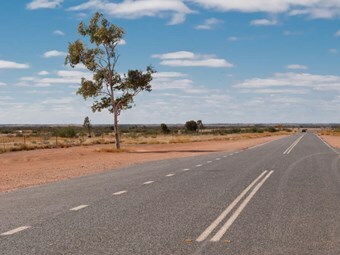 The Northern Territory Government will provide more than $1 million in funding to support the Regional and Remote Bus Trial Program for an additional three years. The program provides thousands of residents with access to health, employment and educational services, as well as providing connections for cultural and social reasons. Trial services were initially funded for a two year period, with services starting in 2010 in the Gove area and in late 2011 in the Katherine and Alice Springs regions. Minister for Transport Peter Styles says the government is committed to helping connect those residents in remote areas and in the bush. "Since the program began more than 55,000 passengers have been transported on the trial services, including about 11,000 in the Alice Springs region, 13,000 in the Katherine region and 32,000 in the Gove area," he says. "The trial services provide a safe and reliable form of transport for a large proportion of regional residents who are unable to access high cost air travel, or who don’t have access to privately owned passenger vehicles." Styles says all routes are required to provide a safe environment for families, including the elderly, with rules on behaviour and alcohol. "The services also reduce the reliance on private vehicle use, therefore decreasing the probability of accidents," he says. Operators of the trial services, Centre Bush Bus in the Alice Springs region and The Bodhi Bus in the Katherine region, have recently committed to continue the services for an additional three years. The operator of the Gove Peninsular service has agreed in principle to extend the trial.